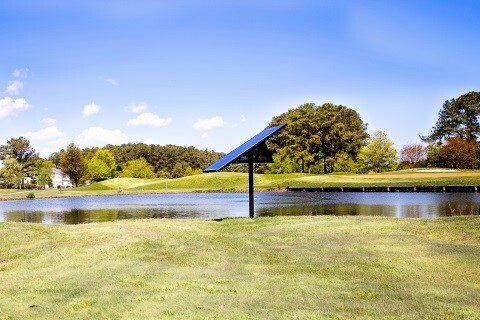 PondHawk is the first fully-integrated, pre-assembled, solar powered pond aeration system that eliminates the harmful effects of stagnant water, delivering a simple cost-saving and chemical-free solution to pond management. PondHawk works without batteries are designed for use 365 days a year and requires minimal maintenance. And because PondHawk is not connected to the electric grid, its operating costs are extremely low, and it’s ecologically friendly. The innovative design installs quickly, doesn’t require a special license and can be situated away from the pond and easily secluded if necessary. PondHawk is American made, comes with a standard 3-year limited warranty.